One of the toughest parts of developing a social media presence is ensuring your posts are appropriate for your department and the university. Here are some guidelines on posting effectively on social media. 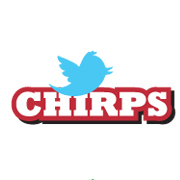 We suggest that before you tweet (or do any work on social media), you follow the acronym CHIRPS to ensure your messages are interesting, engaging, ethical and appropriate. Once you post online, the material can spread before you get a chance to delete it and repost, so be certain the information is (1) factual, (2) includes the details people need, (3) and can be shared and is not privileged or private. Double check that your message is appropriate for what your program stands for. Remember we post on behalf of the university, and our posts should stand up to the university’s high ethical standards. Do not pose as someone else, never lie, do not steal other people’s materials, and only use materials we have a right to use. Offer a variety of content, including posts, photos, videos, links to interesting news content and sharing related groups’ content. Write text that is short and to the point. Consider asking your audience thought-provoking questions. Social media managers should also look at analytics to gauge the effectiveness of their posts. There are many free alternatives to evaluating social media postings, such as Facebook insights or Topsy Social Analytics. What sets social media apart is its participatory nature. Make sure to monitor comments on your social media sites, help launch conversations, correct misinformation, respond to questions, share content. Ultimately, it is about having two-way communication versus a one way news blast. The social media manager should aim to host a site that empowers civil dialogue. Rules for engagement are important when you open up the conversation online, so clarify for your users what types of posts are acceptable and which are not. This could simply take the form of Commenting Guidelines on a social media site. A good social media program is based on a strategy that is in line with the department and the university. The strategy doesn’t have to be long or involved, but should clarify (1) the mission and goals of the social media sites, (2) a sense of the kinds of posts you want to share, and (3) the process by which your department will manage the sites over time, including primary, secondary and tertiary points of contacts. Media and goals change over time, so it’s important to continually reassess your social media program.